With the advent of Windows 10 we have seen how the line in terms of differences of an appearance of the menus and the system of the ones of Redmond, as well as of many applications, has become finer. Universal applications, a system that is basically the same if we use in PC, tablet or mobile … many similarities, rather than Windows 7 and Windows 8 … but also differences. And in that they work from Microsoft, in polishing these differences. To achieve if we work on a PC and then had to use a tablet not find interface changes . It is about ending the changes in the elements that can be found in Microsoft computers through an adaptive interface. A design that allow adaptation to any screen size on which the application runs no matter if it’s 8 inch tablet or 27 of a monitor for PC and which are working in the Windows Shell in Of the Microsoft Operating Systems Group. Basically it is to make the menus, the look suits intelligently depending on the screen resolution that each time it runs. 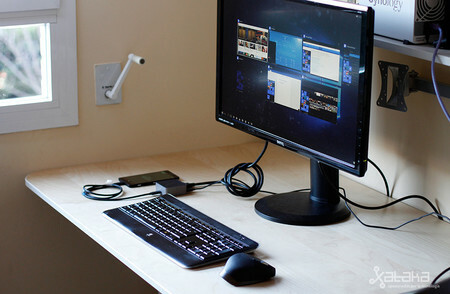 It would be running the same version of an application or system, in this case Windows 10, but only by making changes in appearance, with an interface that automatically adapt to the screen size and device needs . Thus a single operating system could be used, with appropriate changes aspect at the time of execution, as disparate platforms like tablets, mobile phones, consoles … resulting in much more attractive performance for the user. An improvement in which they’d be working from Microsoft with and that would come true in updates that are coming in Windows 10, both desktop and Windows 10 Mobile and Xbox. In this way all the potential we saw complemented with support for x86 applications on ARM processors Did someone say Redstone 3?